At Elite Cleaning Services, LLC, we know that moving can be exhausting. No matter where you are moving to or from, there is always hassle and stress. Trying to coordinate packing, moving, and cleaning in between working and taking care of your family can seem nearly impossible. Instead, trust our Manassas home cleaning company to make relocating as easy as possible for you by taking care of the move in and move out cleaning. What Does a Move In & Move Out Require? The specifics of a move in and move out cleaning will depend on your requirements. For example, if you are going to be selling your home and need it to be spotless for the new owner, we can ensure it meets all of the necessary standards. In other cases, you may be leaving an apartment and simply want the space to be clean enough to get your deposit back. You can also rely on us to ensure your new home is deeply cleaned before you move in. When you trust our move out cleaning in Fairfax, VA & Manassas, you have one less thing to worry about. With years of experience in the home cleaning industry, we go the extra mile for our customers each and every time. 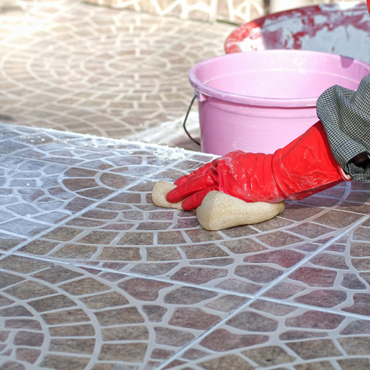 We even offer customized deep cleaning services to ensure your special requests are taken care of.